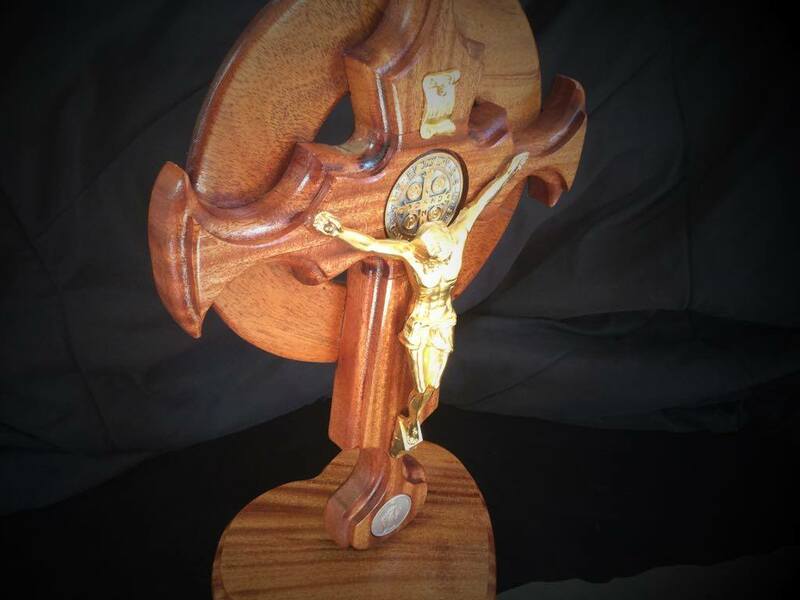 The design of this crucifix is inspired by Mr. Brad S. of Illinois, a fervent prayer warrior of the Cross of St. Benedict Society and a long-time member. He wanted us to build a cross that is “majestic and opulent” that will be a glorious tribute to God. The wood he requested to depict this richness is solid mahogany wood. Knowing the important role of our Blessed Mother, Mr. Brad S. requested the powerful Miraculous medal be at the bottom of the crucifix. Mahogany is a lumber prized for its beauty, richness, durability and color. Mahogany is special because of the “chatoyancy or cat eyes” effect. What is that? It is an optical reflection illusion which creates an effect analogous to the sheen from a spool of silk. The luminous streaks reflect light in a perpendicular to the direction of the wood grain. The result is a striking 3-dimensional appearance with shimmer, pop-the-grain and vibrancy. The reddish brown color of Mahogany darkens over time depicting a new exciting color as time flies. Mahogany resists wood rot or termites making it attractive for heirloom pieces. 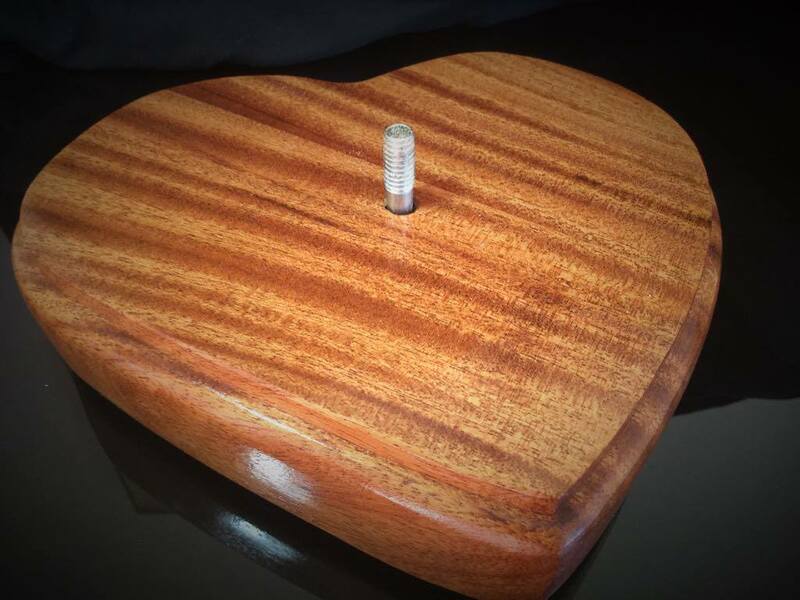 Due to its beauty and sturdiness, the price of Mahogany has been increasing over time. 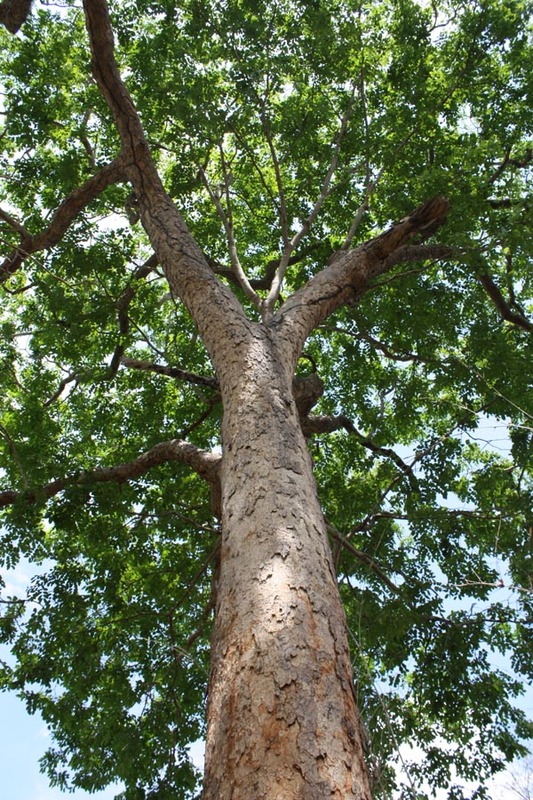 Though not yet restricted, the supply of Mahogany trees is vulnerable and thus will be an even prized piece after several decades. Jesus calls his disciples to “take up [their] cross and follow [him]” (Mt 16:24), for “Christ also suffered for [us], leaving [us] an example so that [we] should follow in his steps” (1 Pt 2:21). This crucifix is beautiful. Rich mahogany and a gold corpus. Well worth the money. A wonderful piece that will last forever.